Interoperable laptop chargers coming soon? We can dream! Potentially wonderful news is being reported by Ars Technica – soon laptop power leads may be compatible with each other. If we’re lucky. Remember how a few years ago, if you had a Nokia, you needed a Nokia charger, and if you had an Ericsson, you needed an Ericsson charger? Mercifully those bad old days are behind us now thanks to the heroes at the International Electrotechnical Commission (IEC), who were the group who convinced all of the competing manufacturers to use Micro-USB. (Apart from to-cool-for-school Apple, of course). Word on the street is that they could be about to work the same magic on a similar bane in our lives: laptop chargers. 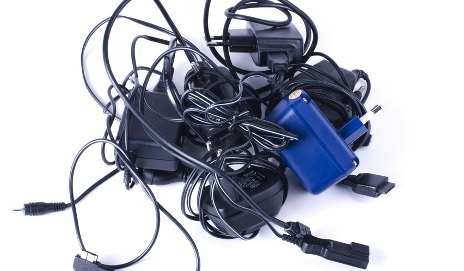 They’re working on a standard which could mean a huge reduction in “E-waste” – apparently the amount of chargers and the like thrown away every year are comparable to half a million cars. Apparently the standard, dubbed “IEC Technical Specification 62700: DC Power supply for notebook computer” could be published in early 2014. Here’s hoping!